Playing around with Structure Synth and exports to POV-Ray. 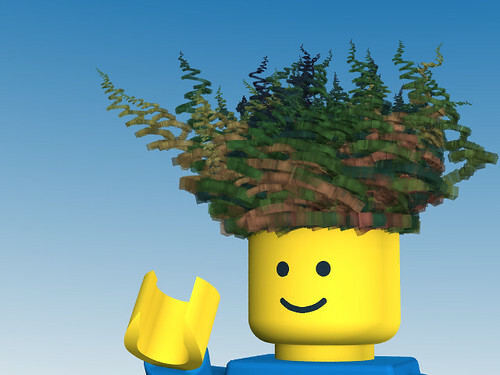 The output looked a lot like hair so it seemed fitting to throw a LEGO minifig under it. Wild huh?